The beloved American classic about a young girl’s coming-of-age at the turn of the century, A Tree Grows in Brooklyn is a poignant and moving tale filled with compassion and cruelty, laughter and heartache, crowded with life and people and incident. Born in 1896 in Brooklyn, New York to German immigrants, Betty Smith grew up poor in Williamsburg, Brooklyn. 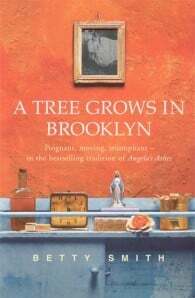 These experiences served as the framework to her first novel, A Tree Grows in Brooklyn. She wrote three further novels before her death, aged 75, in 1972.